Who doesn't love their pets? 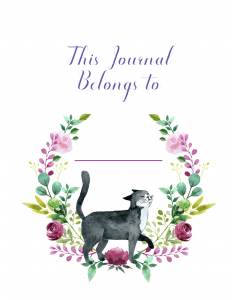 In Honor of World Cat Day in August we are releasing a new cat themed journal. It's Amazon KDP ready so you can use as is, or add your own cat tips and information inside. Perfect for Cat Lover's everywhere and a great way to cash in on a popular 'Event Day'. Who doesn't love their cat? 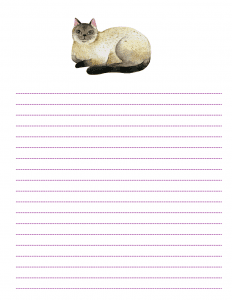 Give this cat journal as a gift for any occasion during the year. Or if you have a pet related blog, then customize it with your own branding and resell it to your customers. 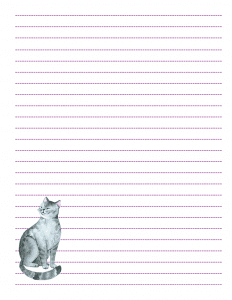 In this Cat Journal you get 60 pages of lined journal pages. Each with a cat related design on them. 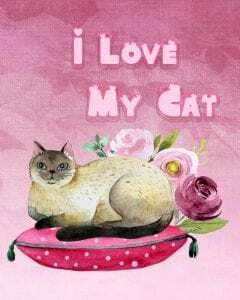 We have also included a 'I love My Cat' cover for your book that you can use. PSD files are included if you would like to make any changes to it. This journal is 8.5 x 11 inches with 60 pages - you may duplicate the pages to create any length journal you like. Slides are delivered in PowerPoint for easy editing. Plus get access to our free Facebook Group where you can get additional support. Please note the images that are included in this journal are not to be resold or used outside of this journal. This cover is 8.5 x 11 inches and accommodates a 60 page journal - if you create more pages you will need to adjust the cover accordingly. Includes Commercial Use License - You may edit & sell your new version as you wish. Please Note: You may use this content as you wish. 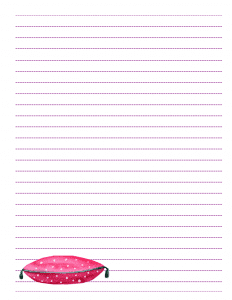 Edit & brand it to create your own version or add to a new line of journals & planners. Resell your new version [PDF] to your customers & clients or give away to build your list.